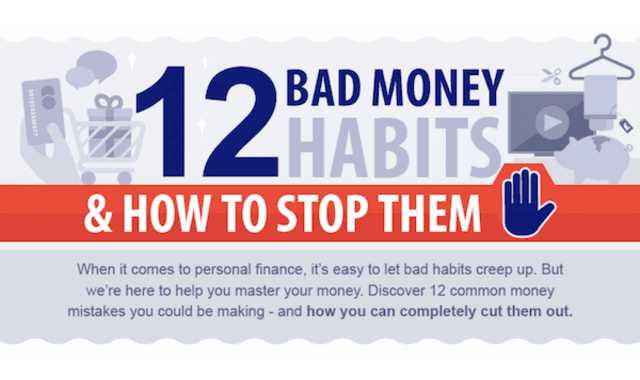 12 Bad Money Habits And How To Stop Them #Infographic ~ Visualistan '+g+"
When it comes to personal finance, it's easy to let bad habits creep up. But we're here to help you master your money. Discover 12 common money mistakes you could be making - and how you can completely cut them out.